Founded in Baltimore, Maryland in 2016, the Bergamot Quartet is dedicated to interpreting the music of living composers. They were recently featured at the Kennedy Center's Millennium Stage performing George Crumb's Black Angels, which formed the centerpiece of their Spring 2018 season. They have also made appearances on The Evolution Contemporary Music Series, performing works by Julia Wolfe, Bryce Dessner, Jason Treuting, Gemma Peacocke, and Jessie Montgomery. In 2017, the Bergamot Quartet premiered the revised version of Oscar Bettison's Presence of Absence alongside Ensemble Klang, and also participated in a performance of Georg Freidrich Haas's in vain. In the summer of 2018, they attended the Banff Centre’s "Evolution of the String Quartet" program, where they worked with Chaya Czernowin and performed her piece Anea Crystal. During their time at Banff, they also received mentorship from Zosha di Castri, members of the JACK Quartet, and performed with flutist Claire Chase. Future projects in 2019 include participation at the Diotima Academie in France with the Diotima Quartet, the Next Festival of Emerging Artists, and returning to the Banff Centre. Their 2019-2020 season will include academic residencies at Towson University and the University of Baltimore. The Bergamot Quartet is Ledah Finck and Sarah Thomas, violins; Amy Tan, viola; and Irene Han, cello. Ledah Finck is a violinist, violist, improviser, and composer residing in Baltimore, Maryland. A passionate performer, creator, and curator of contemporary classical music, she is an active and founding member of experimental duo The Witches, and Trio Jinx, the Bergamot Quartet, and earspace ensemble. In addition to music for those ensembles, she has been commissioned by Imani Winds, Alarm Will Sound/Now Hear This, the Bridge Ensemble, and the Peabody Community Chorus among others. Her music embodies a desire to create and share a sound-world in which the classical tradition, the folk music with which she grew up in the Blue Ridge Mountains, and extensive improvisatory elements can be in productive dialogue. This summer, she was a member of the Banff Evolution of the String Quartet program and the Lucerne Festival Academy in Switzerland, and was featured on the Sitka Summer Music Series with Trio Jinx soon after the trio's participation in the semifinals of the Fischoff Competition. She has also been selected to participate in Ensemble Modern's Klangspuren Academy, the Bang on a Can Summer Institute at Mass Moca, Kneisel Hall, the Aspen Music Festival and School, and the Yellow Barn Young Artists Program. She holds Undergraduate and Master’s Degrees in Violin Performance and Composition from the Peabody Conservatory, where she studied with Herbert Greenberg, Oscar Bettison, and Judah Adashi, and studied at the University of North Carolina at Chapel Hill on a Kenan Scholarship, a full fellowship for musical and academic merit. 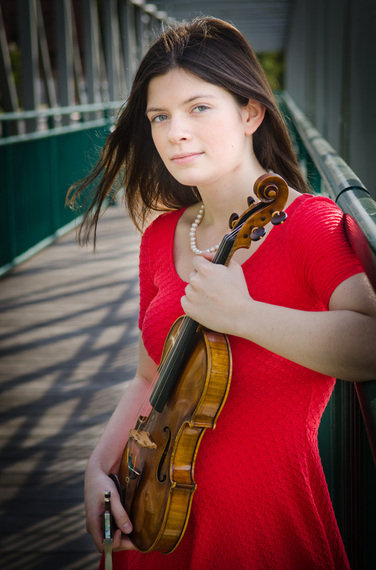 Violinist Sarah Thomas performs and teaches in the Baltimore area and is committed to engaging the community through chamber music in fresh and exciting ways. In addition to her work with the Bergamot Quartet, she performs chamber music with many ensembles around Baltimore. She is a member of the ensemble Chamber Encounters, which comprises a series of several chamber music concerts per season, and has a private violin studio at Chamber Encounters Music Academy. In her hometown of Memphis, TN, Sarah directs a summer String Chamber Music Workshop, as well as Azure Family Concerts Memphis and the Chamber Music with Friends concert series. In her free time, Sarah can be found reading, drinking coffee, or going on long walks with friends. Sarah is currently pursuing her Master’s Degree in Violin Performance at the Peabody Conservatory with Violaine Melançon. Violist Amy Tan is dedicated to working with a wide range of repertoire from performing classical orchestral works to workshopping newly composed pieces. Amy’s previous musical engagements include performing at the Aspen Music Festival and School, the Chautauqua Institution Music Festival, and the National Orchestra Institute, the International Music Festival of the Adriatic, and the Banff Center for Arts and Creativity. Passionate about connecting with people through the creation of new musical experiences, Amy has worked with composers Joyce Beetuan Koh, Matthew Browne, Shuying Li, Matthew Bridgham, Caroline Shaw. She has also performed with various chamber ensembles, the University of Michigan’s Contemporary Directions Ensemble, Peabody’s contemporary music ensemble Now Hear This and the Peabody String Sinfonia. Born and raised in Singapore, Amy started her musical studies on the piano at age 5, and started playing the viola at age 15. Amy has studied with Tan Wee-Hsin (Singapore), and graduated in 2017 from the University of Michigan, where she studied with Yizhak Schotten (viola), Paul Schoenfeld (composition), Evan Chambers (composition) and Bright Sheng (composition). She is currently pursuing her Masters’ Degree at the Peabody Institute, where she studies with Victoria Chiang (viola). 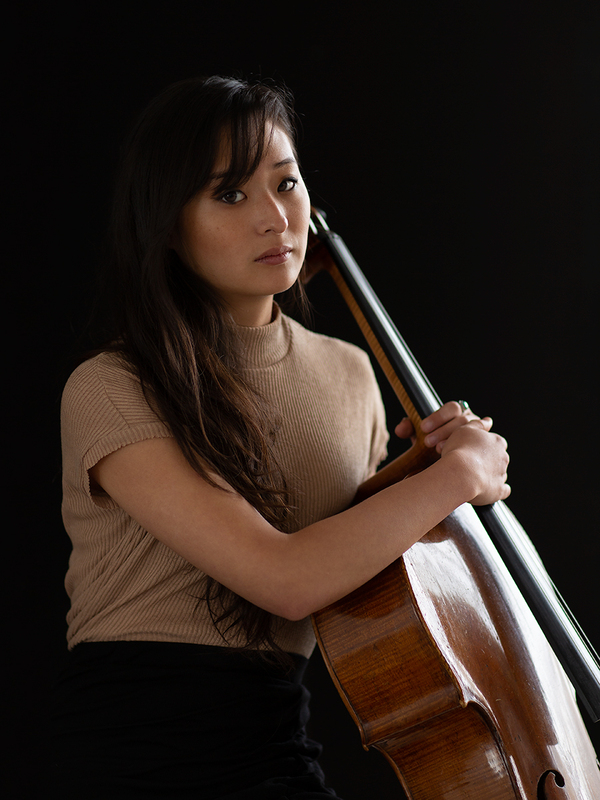 Cellist Irene Han is a dedicated chamber musician, passionate about performing a wide array of styles. As a soloist and a chamber musician she has performed at Musique en Graves, Musique à Hourtin, Festival de Musique a Flaine, Sowebo Arts and Music Festival, Festival ils Prennent la Place, Evolution Contemporary Music series and the Banff Festival. Currently, Irene is an associate member of the Civic Orchestra of Chicago for the 2018-2019 season, a member of Ensemble Nova, an ensemble focused on creating new performance concepts in music including non standard repertoire and styles based in Lyon, France, and the Bergamot Quartet currently based in Baltimore. Her passion projects include working with movement and free improvisation. Raised in Paris, France, she holds prizes from the Bellan Competition, the Fontainebleau Competition, as well as a unanimous first prize from the CRR of Paris, a Degré de Perfectionnement from the CRR of Lyon, a Bachelor of Music from the Manhattan School of Music and a Masters Degree from the Peabody Institute of Music where she was awarded the Israel Dorman Memorial Award in strings and the Grace Clagett Ranney Prize in chamber music. Irene’s mentors have included Annie Cochet, Philippe Muller, Augustin Lefebvre and Alan Stepansky.